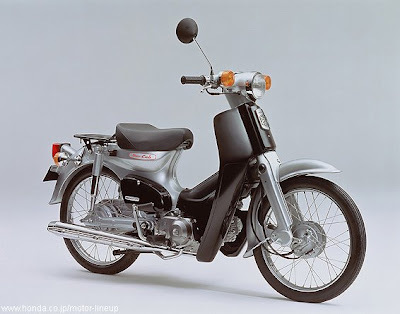 if i were to own a motorbike, besides vespa, i'd like that old school honda thingy. what do you call them? 'lampu bulat' (round head-light). 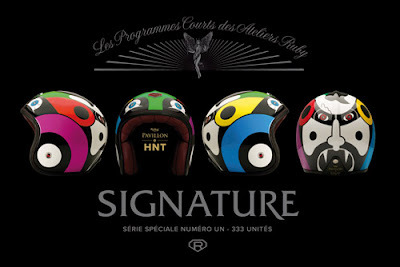 and one of these awesome helmets designed by Jérôme coste. apparently, his own breakneck temperament which earned him six cranial traumatisms made him obsessed with safety headgears. the helmets also comes with matching scarves. sweet!